How will the operations guide help me and my business? The guide is designed to give an overview of marketing operations and covers the 7 pillars of a marketing operations framework, as well as some advice for adoption and long-term compliance. The recommendations in the guide will help marketers review current marketing processes, tools and resources, and assess how to create an environment of transparency and accountability, that integrates all the stakeholders involved in the marketing delivery chain. This guide is written for marketers and corporate communications specialists at large and multinational organizations that run cross-channel marketing programs in a complex environment, where silos are easily created. The end result sought is to create a marketing operations framework that will help marketers consistently deliver the right brand messages to provide the optimal customer experience, effectively, cost efficiently and within policy. 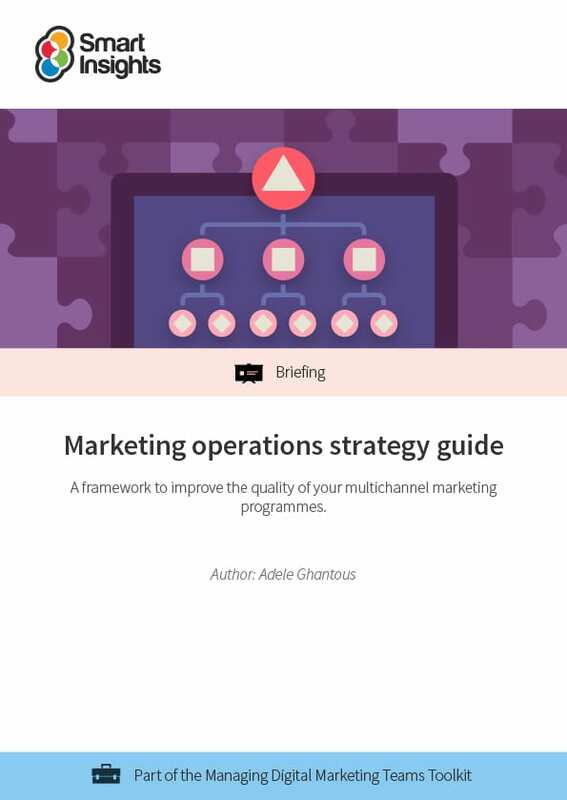 What does the Marketing Operations guide cover? The guide starts by defining marketing operations, the key stakeholders and the benefits marketers can gain from implementing a marketing operations strategy, and how such strategies ensure that investments in marketing resource management and workflow tools result in a positive return. The guide advises on the 7 pillars of a standard marketing operations framework that you can implement in your organization to create a more integrated, efficient and compliant marketing process. Adele Ghantous is the founder and Managing Director of Lapis Angularis, a consultancy in Marketing Operations. Adele’s career started in 1997 launching one of the pioneering high-speed internet over fibre optic services, and she has always been at the forefront of developing new technologies and innovative solutions in the digitalspace. She worked across several sectors, in technology development and on both the agency and client side. Since 2005, her focus has been on building Marketing Operations solutions for global brands. You can find out more about Adele on LinkedIn. You can also follow her on Twitter at: @adeleghantous. 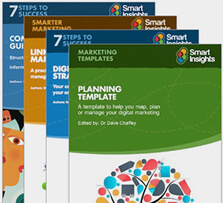 Business members get full access to this and 7 other guides in the Managing digital marketing teams Toolkit.